Do you know NET paper 1 is crucial for your overall success in NET-JRF exam? Buy UGC NET Paper 1 notes to start your preparation for NET exams. UGC NET Political Science exam is one of the most popular subjects in UGC NET exams. Besides, it is also one of the most difficult to crack as well. With structured UGC NET Political Science coaching, you can easily crack this exam. For aspirants, preparing for UGC NET Political Science exam multi-disciplinary approach is recommended. It is important that you understand each topic. From historical, socio-economic and above all political point of view. We at Learning Skills, try our best to deliver coaching in the most comprehensive manner. Because we understand. For a future lecturer in you, it is important you cover syllabus completely. And carry in-depth knowledge in all given topics. That’s why, we engage expert teachers, who are themselves UGC NET or JRF in Political Science. Also, we get you sessions with toppers and assistant professors. At Learning Skills, we work on your all round needs. We are committed to helping you achieve your career goals. Therefore, our UGC NET Political Science coaching in Delhi designed to empower you. All these come together to help you prepare and crack UGC NET Political Science exam. 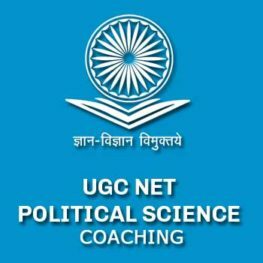 Do you want to crack UGC NET Political Science June 2018 exam? Then contact us on 9999149355 for more info.